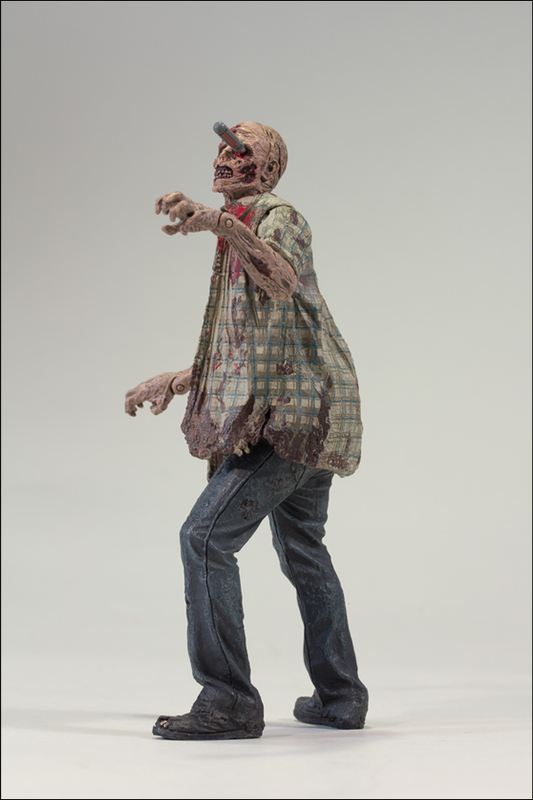 It's almost Walking Dead time again on AMC, so McFarlane Toys is revving up their creep engines to bring you all the nasty undead plastics you crave..and happily, alongside an extremely well rounded cast of human characters from the show! 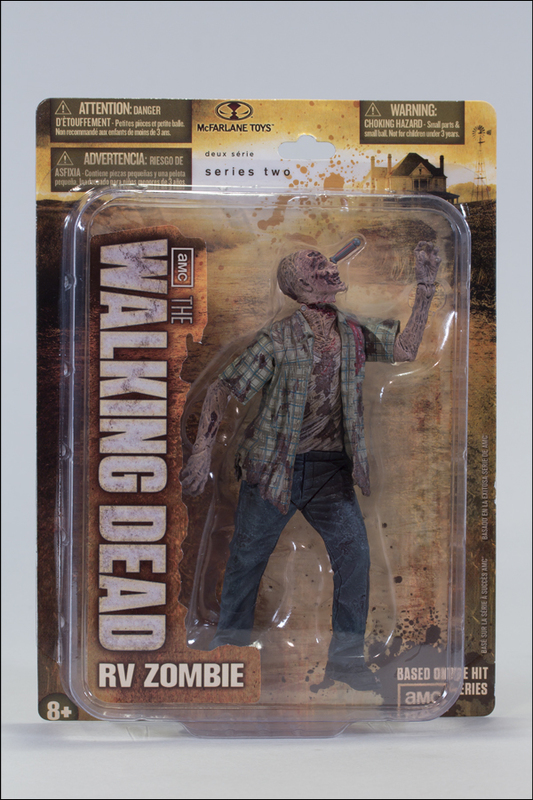 It's been months since we showed off Series 2 RIGHT HERE. 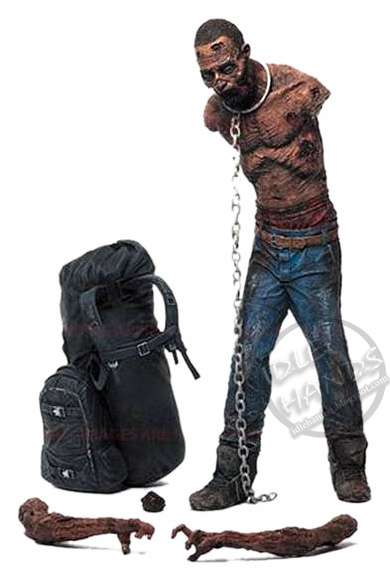 Those are due to drop the end of October. 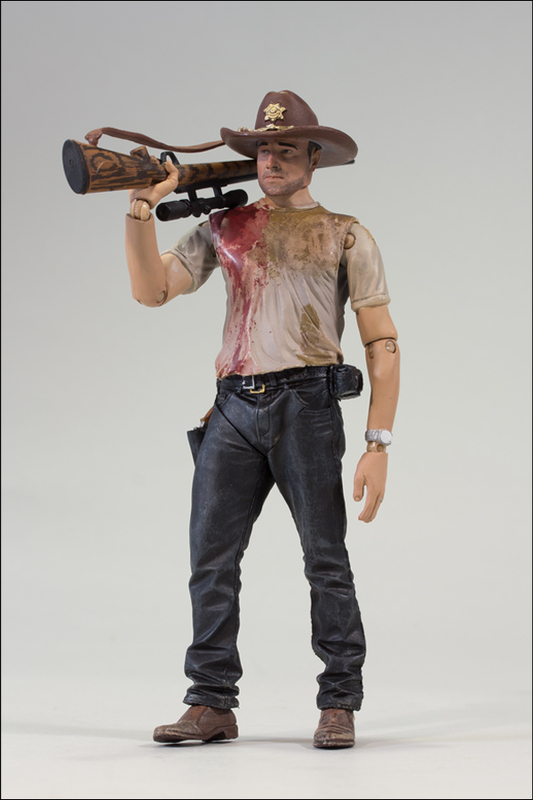 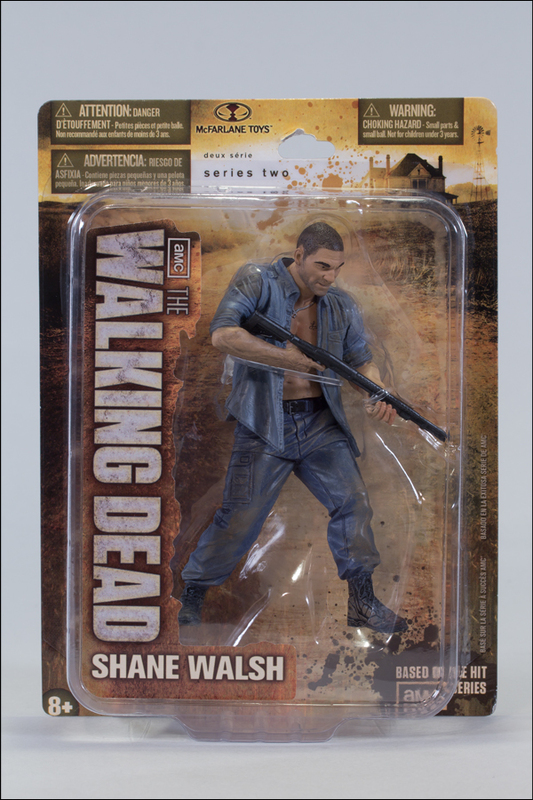 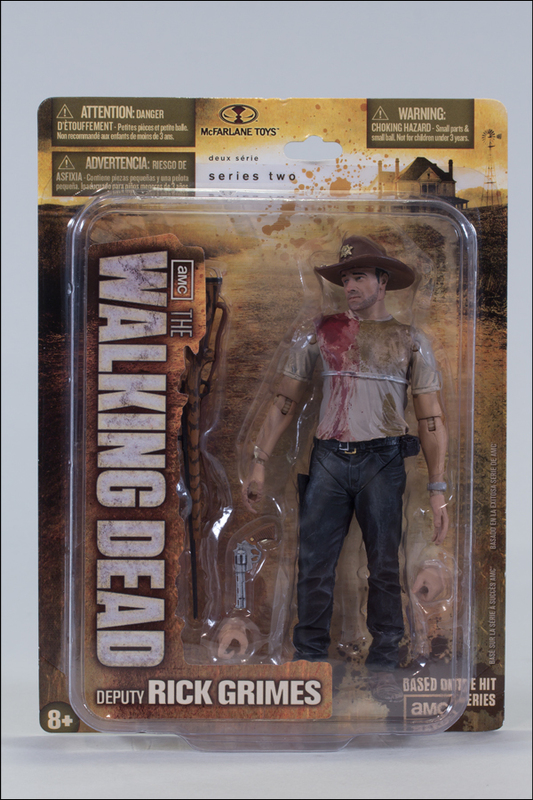 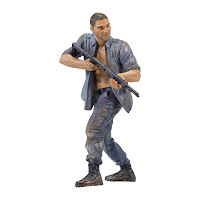 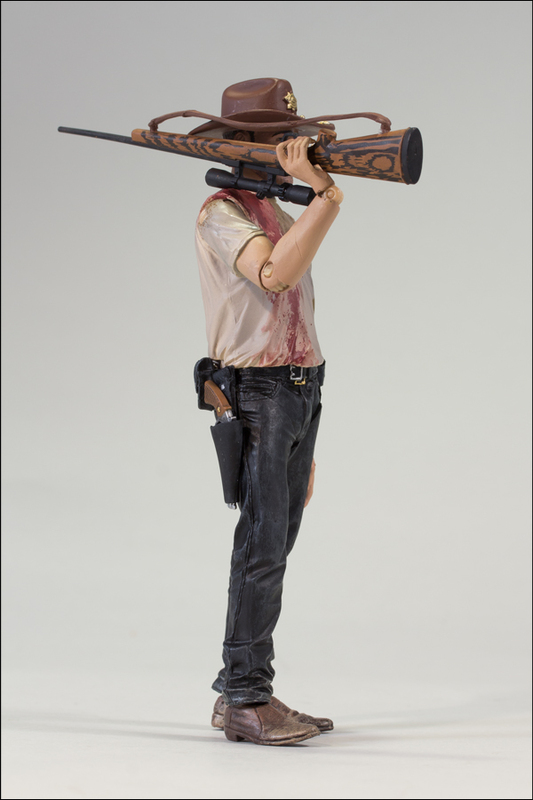 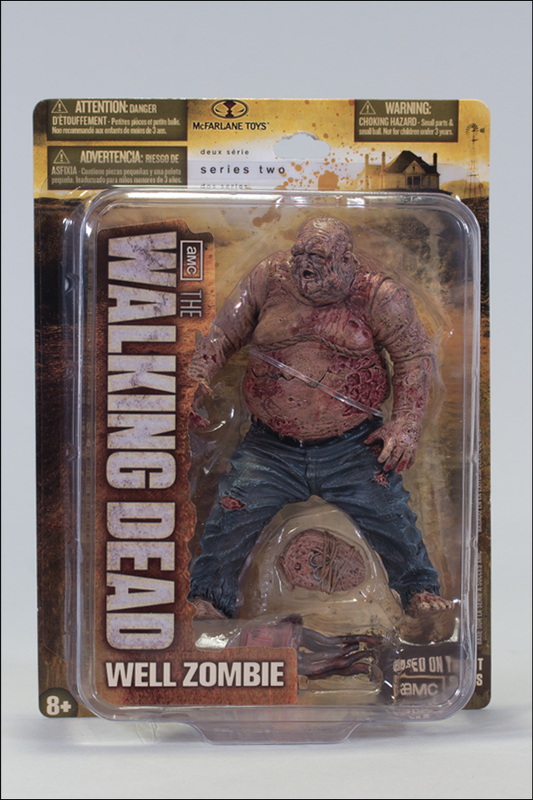 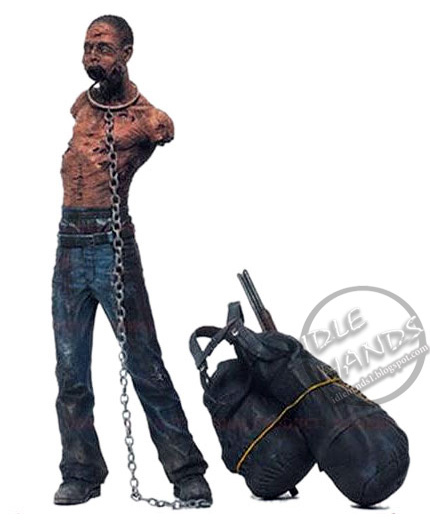 Now we get a peek as the Walking Dead TV Action Figures Series 3...which seem to have bypassed another comic series all together. 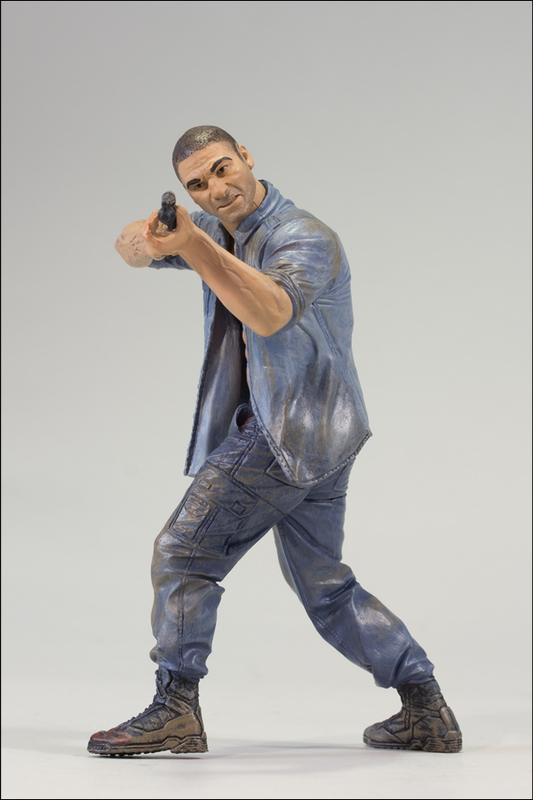 McFarlane know where the money is. 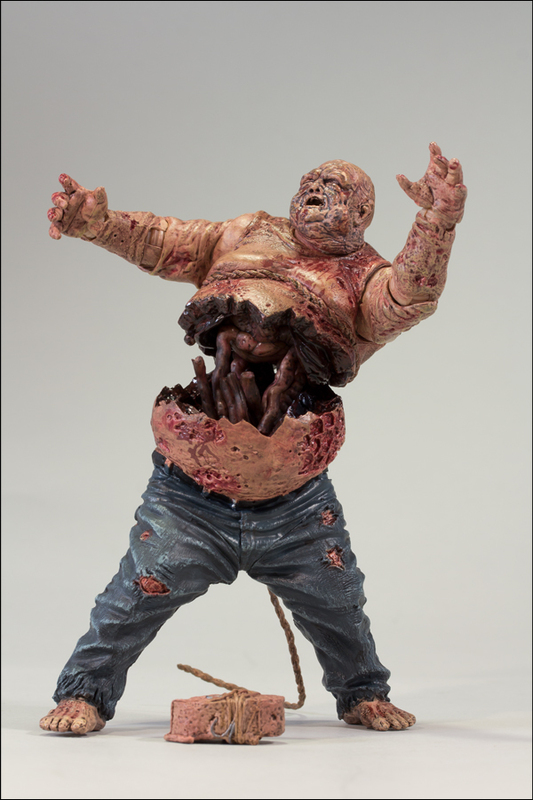 Would the money have been there in spades at 7 inches??!! 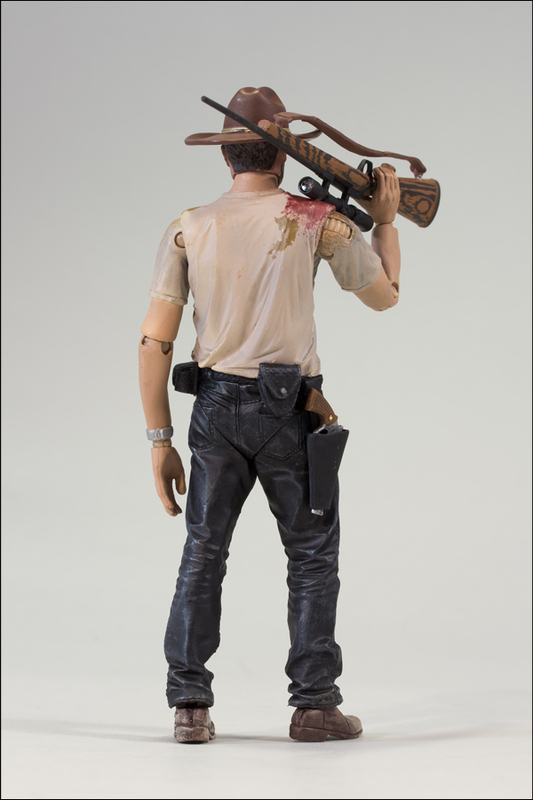 Yes ...yes...but we can cry over that later. 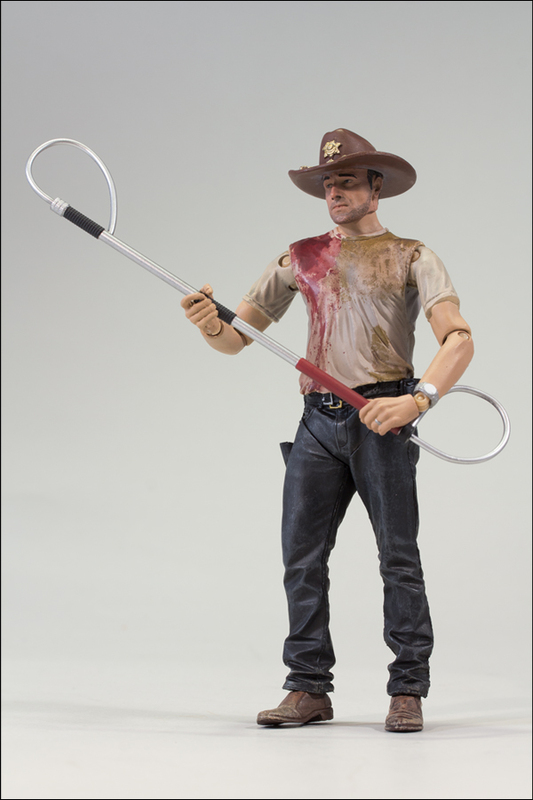 Right now, we have new toys to look at. Michonnes Pet Zombies - Connected directly to Michonne’s past, she has rendered both these walkers harmless by removing their bottom jaw and arms. Now that both Pets are somewhat subdued, she puts them to good use as pack mules and zombie repellant. 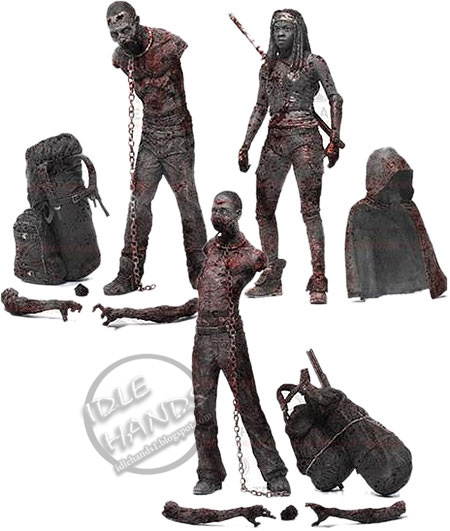 Both Pets come with removable backpacks, neck chain leash, arms and bottom jaw. 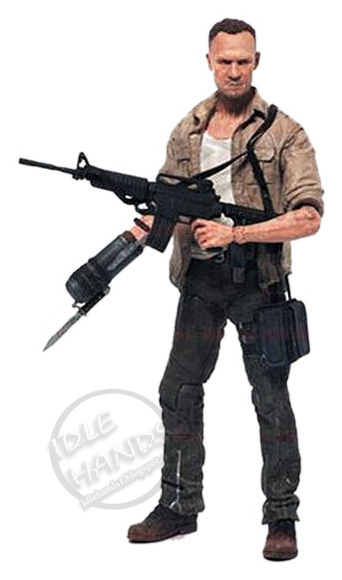 As an added bonus Pet 1’s backpack comes with a removable shotgun. 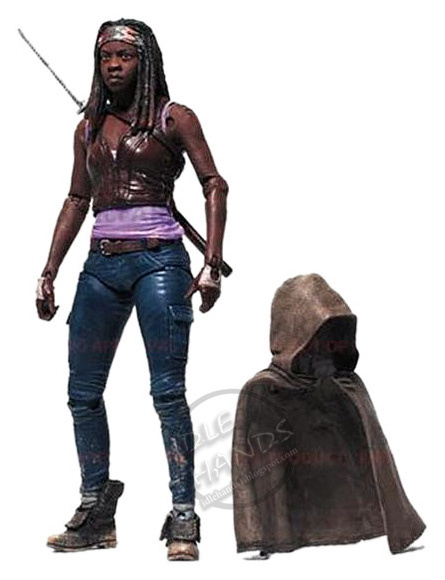 And last, we have a Bloody Black and White Michonne and Pet Zombies Three-Pack, carrying on the fine McFarlane tradition of flicking red paint on a figure to make it a variant. 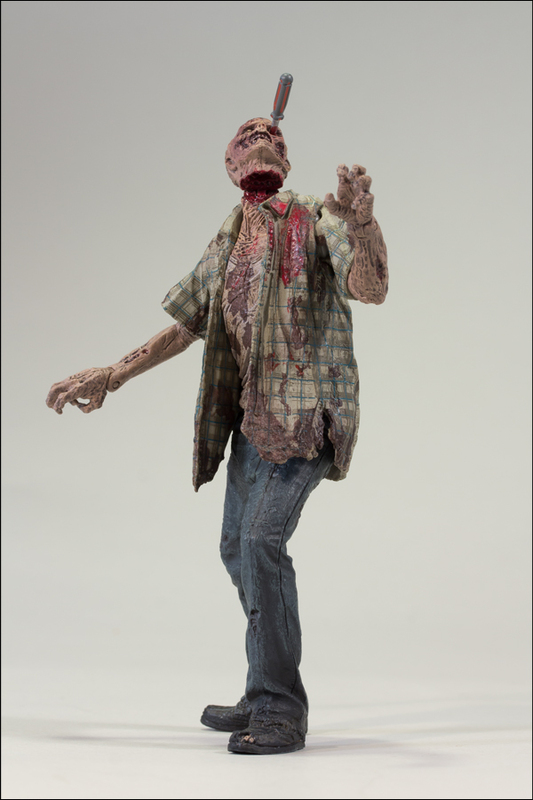 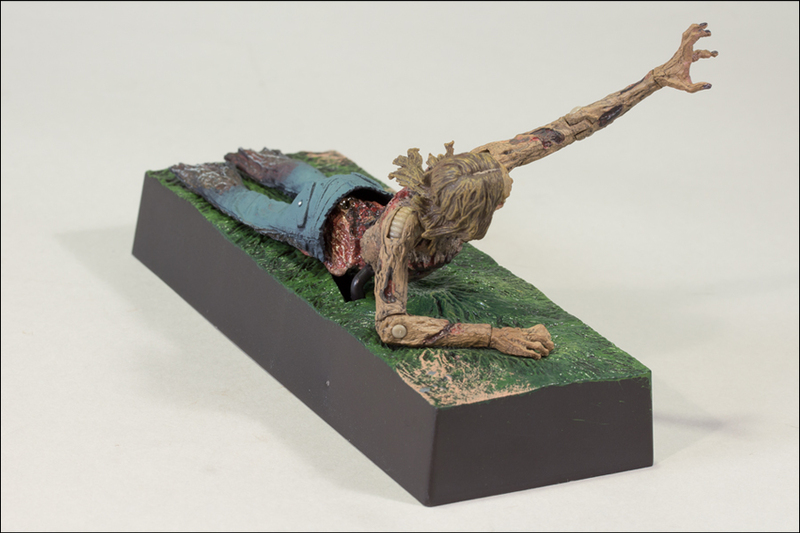 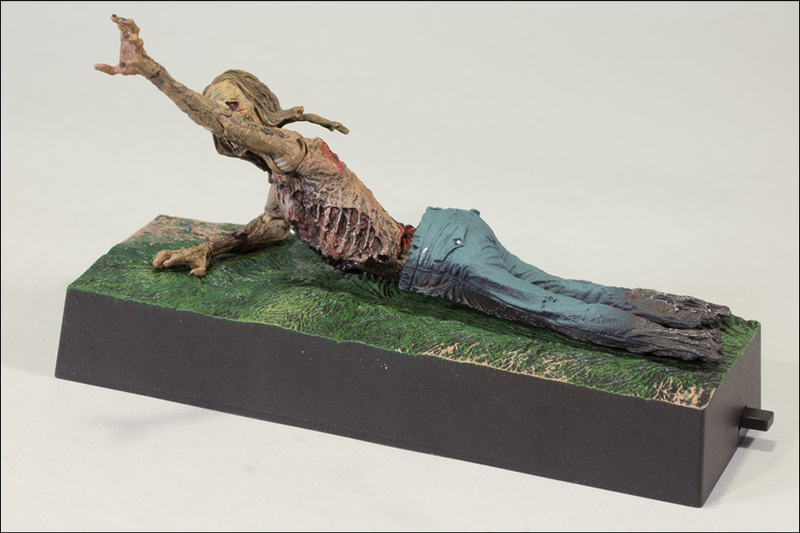 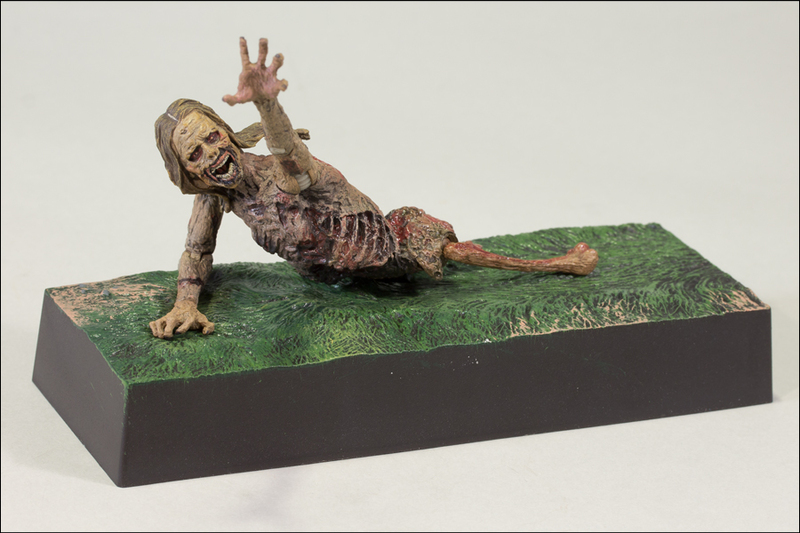 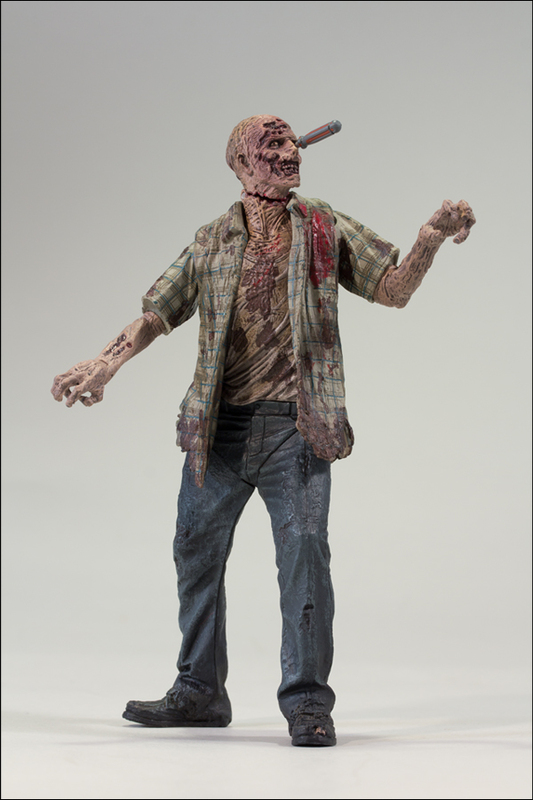 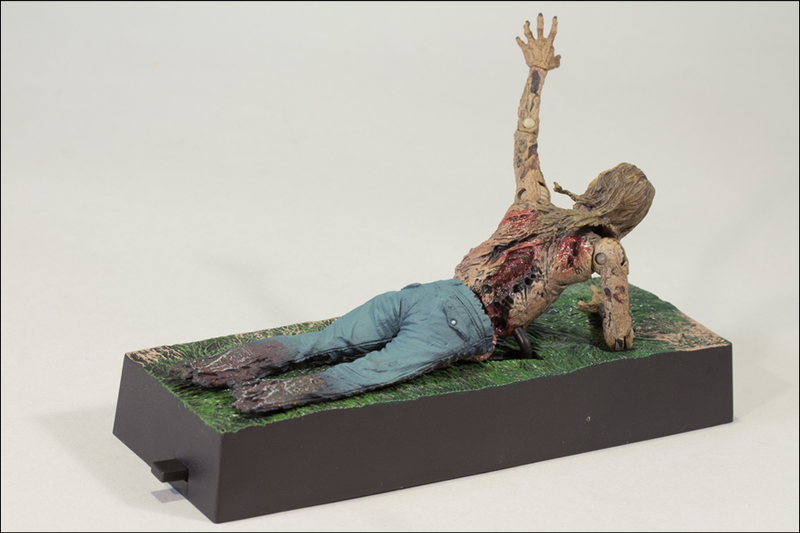 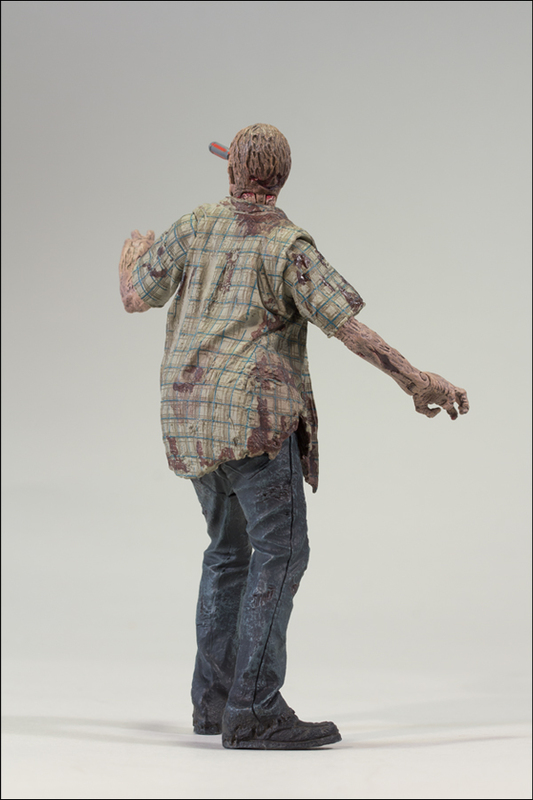 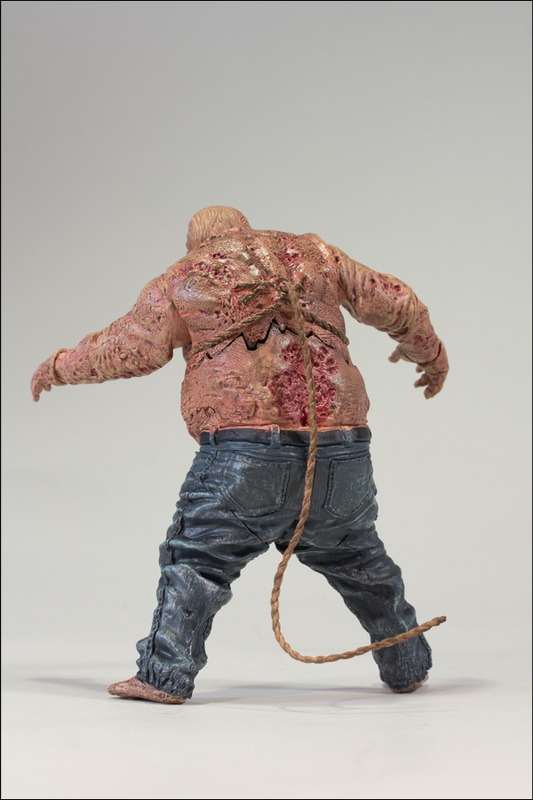 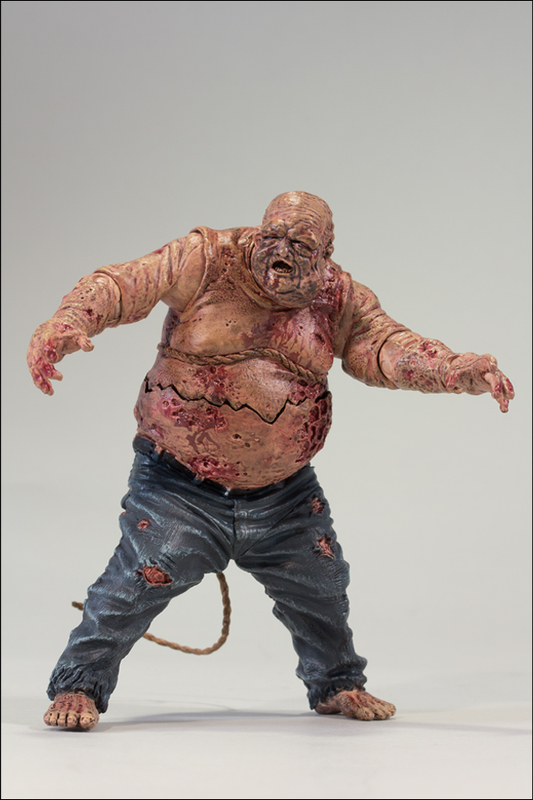 As a bonus, McFarlane have dished out new pictures of Series 2, showing off the grody action features for their zombies. 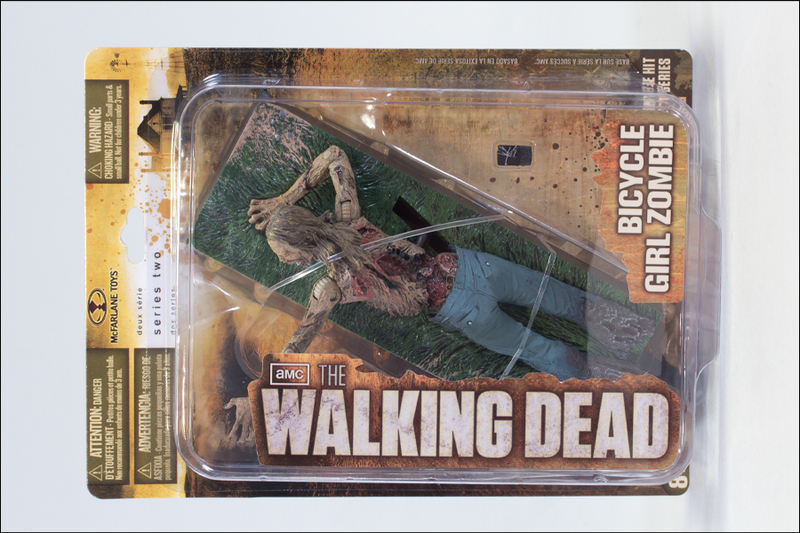 Here's Rick Grimes , Bicycle Girl Zombie , Well Zombie , RV Zombie and Shane Walsh . 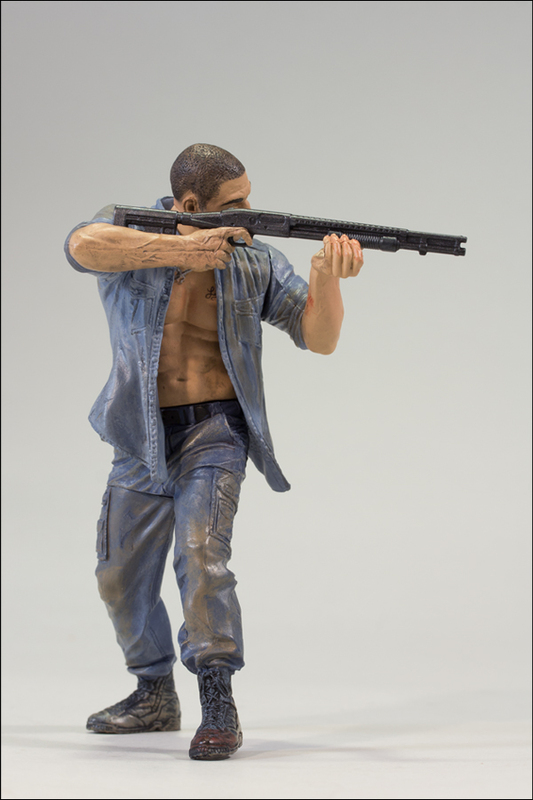 Click the links to pre-order now!